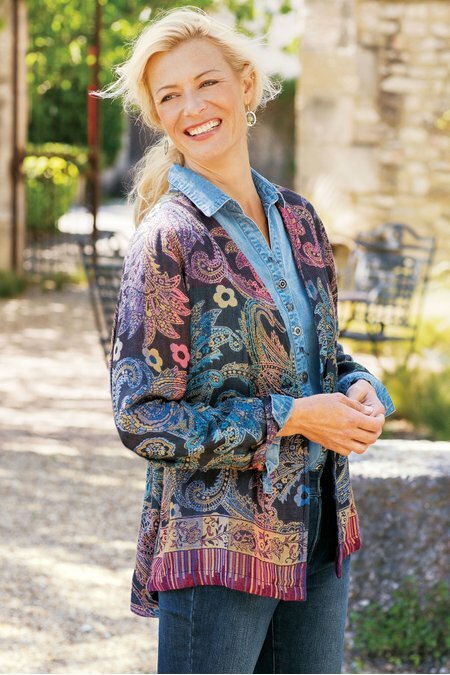 With the look of a one-of-a-kind find from your global travels, our jacquard woven jacket has an allover embroidered pattern of paisleys in rich, vibrant colors and high-low hem. Appropriate to the design, our Paloma Jacket closes with a single novelty button to cap off its artistic and vintage appeal. 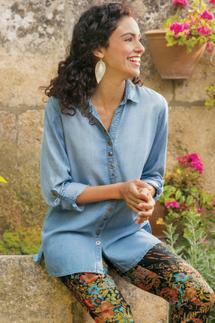 Rayon. Misses 27"/30" long.